The week of March 6-12, 2011, was declared as World Glaucoma Awareness Week in order to maximize global and local awareness efforts in the best interest of glaucoma patients. Carrying the theme "Don't Lose Sight of Your Family," the event was designed to remind the other family members of a glaucoma patient to go see eye professionals so that they can prevent the occurrence of glaucoma and to prevent visual impairment and vision loss. Let us live with all our vision intact. Consume diets rich in Vitamin A, minerals, and zinc. Quit smoking. Protect the eyes against direct exposure to the sun. And get regular check-ups. 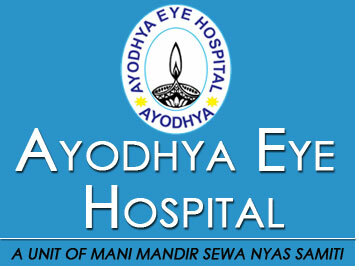 We celebrated the World Glaucoma Day 2011 at Ayodhya Eye Hospital (Base Camp), Tulsibari Parikrma Marg on 12/03/2011, conducting Free Eye Checkup for Glaucoma Patients. This year on March 12, 2011, World Glaucoma day was celebrated in AEH by free screening and investigation of patients. If you have a family history of glaucoma. What is World Sight Day 2011 (WSD11)? World Sight Day (WSD) is an international day of awareness, held annually on the second Thursday of October to focus attention on the global issue of avoidable blindness and visual impairment. This year, there is no global theme for World Sight Day 2011 (WSD11), which we hope will allow each participating organization to use the occasion to highlight its own priority areas, in ways which will resonate with their own target audiences.